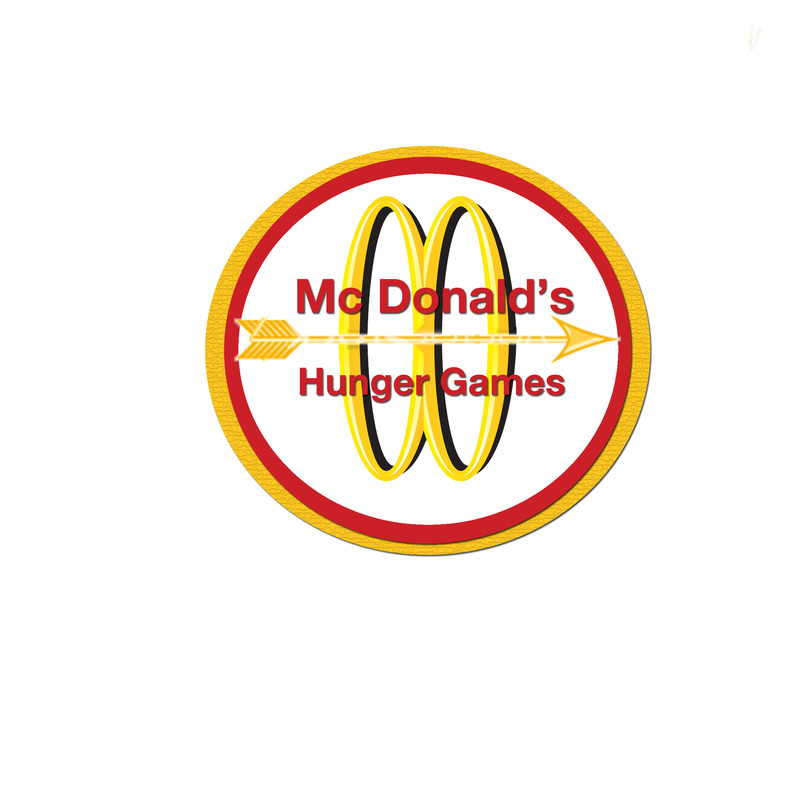 The Hunger Games are a series of interactive games where users work together with McDonald’s in a run of ferocious games to defeat hunger. 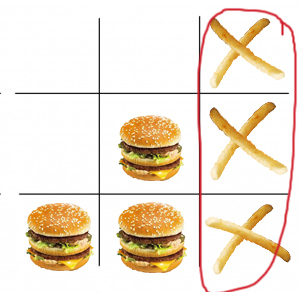 Classic games such as Pac-man and connect 4 will be the setting of these epic battles, while the McDonald’s app and website will act as the arena. Even the weakest players will receive a prize of a voucher from McDonald’s while the fittest will go on to win greater prizes. Using the latest know-how people with the app already installed will be informed that they have been selected to play in the games for an almost instant prize when they are near a McDonald’s. 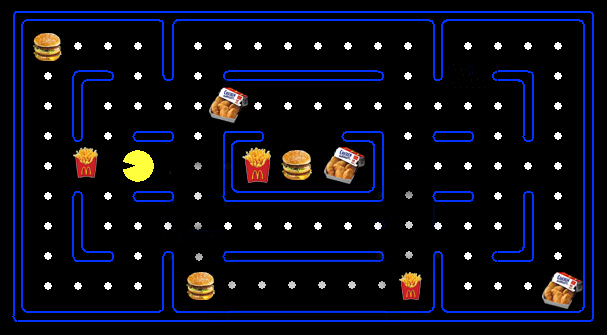 Our own better version of Pac-Man features our hungry hero determined to get to a selection of delicious food. The user controls Pac-Man and must Guide him safely through to satisfy his hunger while avoiding the evil snackers. 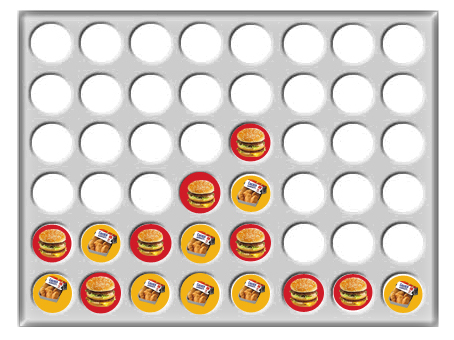 Although this version of connect 4 can be played as a lonely one player version, people will be able to be almost sociable and play against other fighters in an effort to decide once and for all what is greater: Nuggets or Burgers. Players must decide what team they are on before they start to play; the winning players will receive a voucher for every game they win, each win adds to each teams overall score. At the end of the competition whichever team has scored the highest on the leader board will be declared the victors. Nuggets or Burgers will be declared champion and the winning cuisine will be given away free to all those who have the app. Our contestants play against the computer in a fast paced version of X’s and O’s. The game is against the clock and every victory receives a voucher. However players can either accept their voucher and walk away or gamble and play at harder levels in an attempt to increase their prizes.